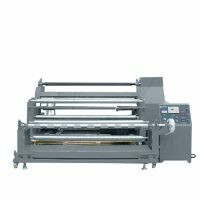 The Non-woven slitting machine is one device to trim, slit the wide material in production process according to the different needs. 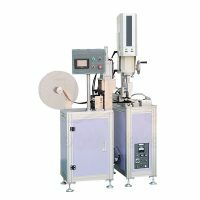 According to the production needs, this machine is mainly used for slitting the wide coiled material into variety of narrow coiled material, and the slitting process including feeding and rewinding. 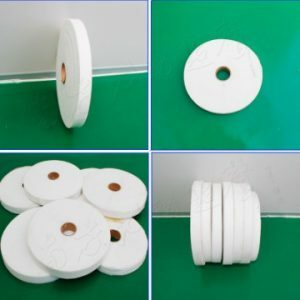 The tension control to feeding and rewinding is the key link of the slitting machine. 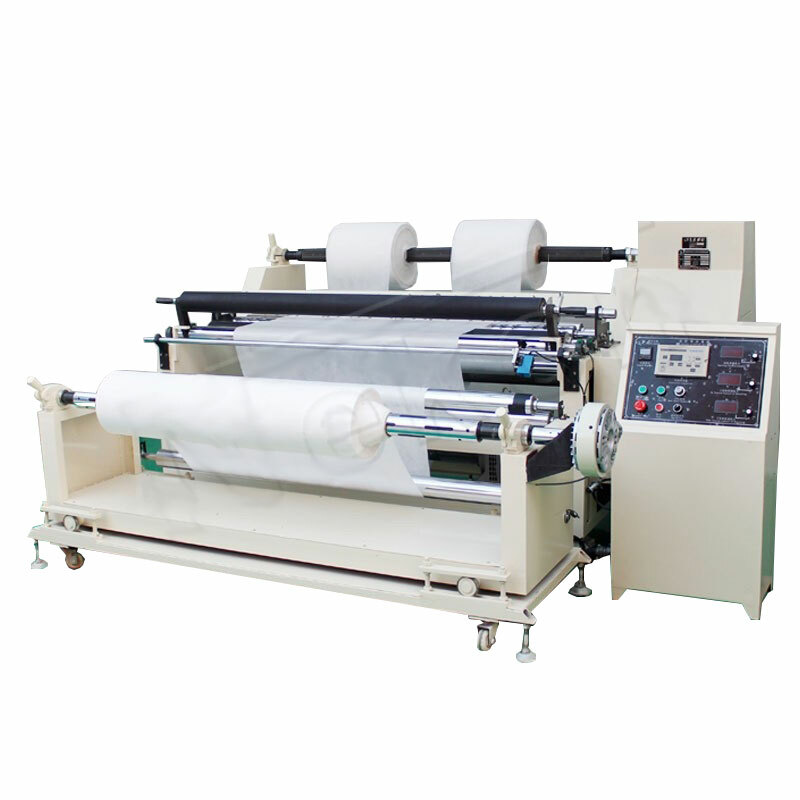 Non-woven slitting machine is based on the original electrical control system, edge automatically align. achieving the ideal effect and increasing the working performance. 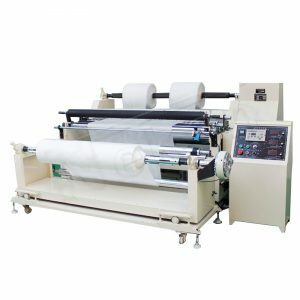 More stable in the high-speed operation, rewinding smoothly, easy but convenient to operate, safe and reliable, high durability .Application to slitting kinds of material such as PE, non-woven fabrics, gauze, toilet paper, disposable diaper and so on. Feeding with 3 inch air shaft, maximum feeding diameter is 600mm, with magnetic powder tension controller and edge automatically align device. 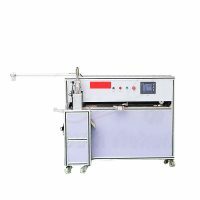 Rewinding with 3 inch air shaft and magnetic powder controller, easy to operate, maximum rewinding diameter is 600mm; rewinding aesthetic and neatly. Double-faced diamond with grinding and sharpening system, the grinding wheel life is up to two years. Sharpening without disassemble with long life. Superior effeciency with dust absorption equipment to maintain the fabric and the track clean. 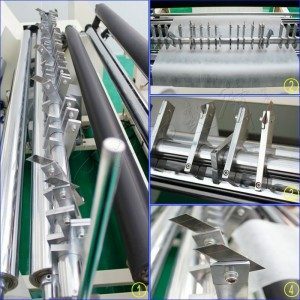 Importing precise ball screw and slides, paralleled promoting the cutting width, importing AC motor stepless adjustment system to adjust and control the cutting speed, high-precise cutting, the accuracy can be controlled within 0.1mm. High speed feeding design, reducing the labor effectively and increasing the production efficiency. Automatic counting device, clearl at a glance. Cutter can use special blades or flat knife (cutter blades), 18mm-1600mm adjustable. Spindle and circular knife with CVT system, can be used as high-low speed control and reversing switch control. 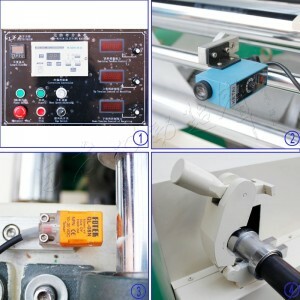 Electronic speed control system with manual adjustment, convenient and simple to operate. Configuration deviation-checking equipment system to further ensure the cutting precision. 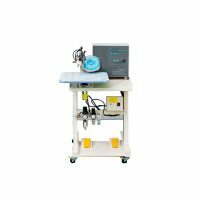 Chinese and English operation interface with LCD display screens, can direct input several kinds of cutting width and number of load settings, and with manual / automatic conversion function, making the operation more simple and convenient.